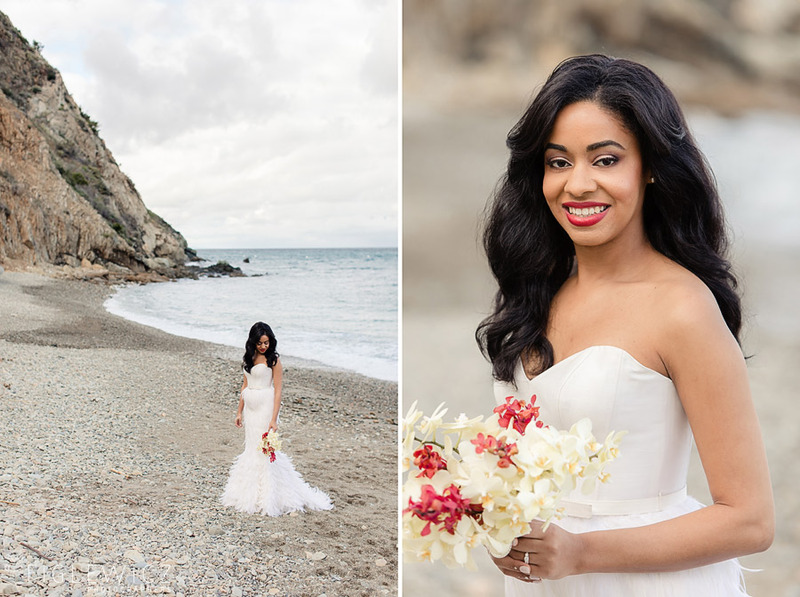 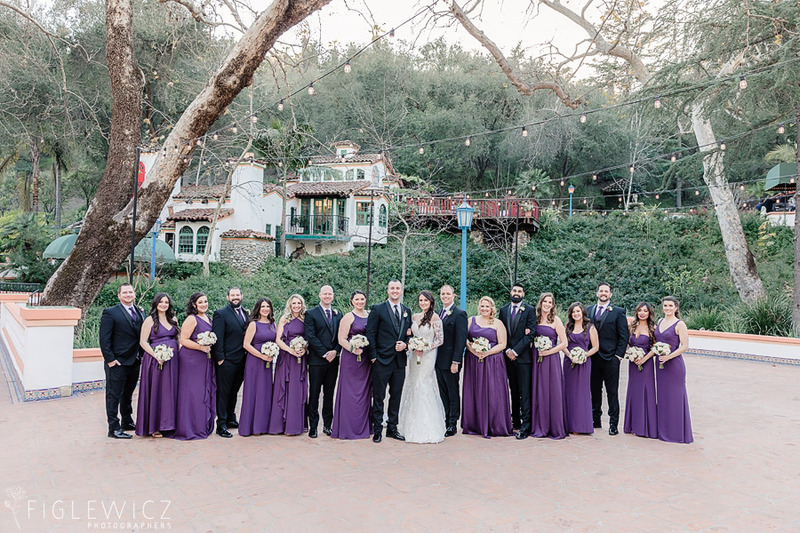 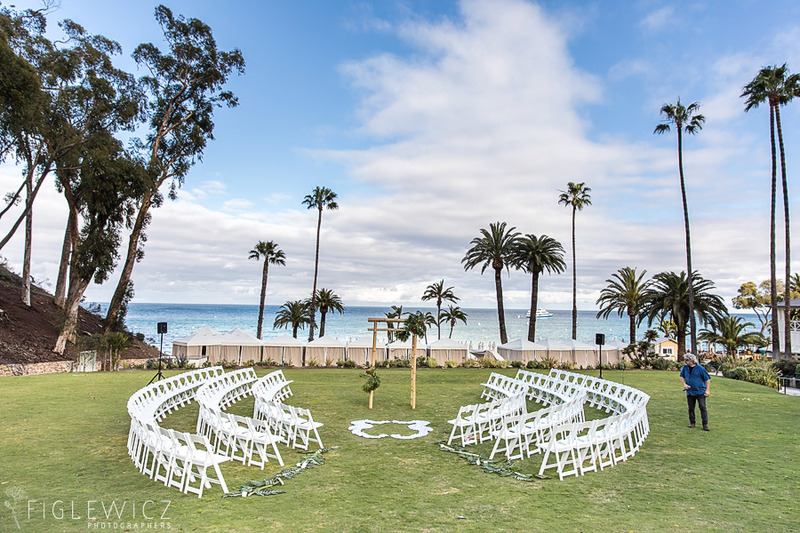 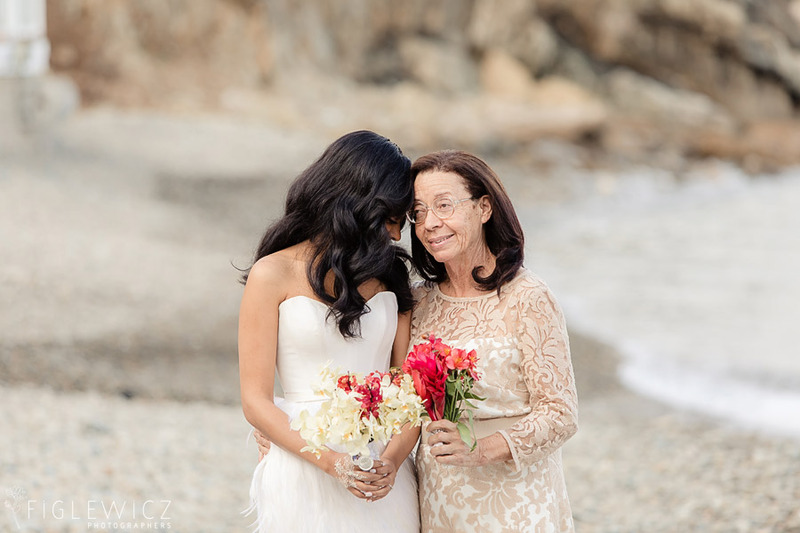 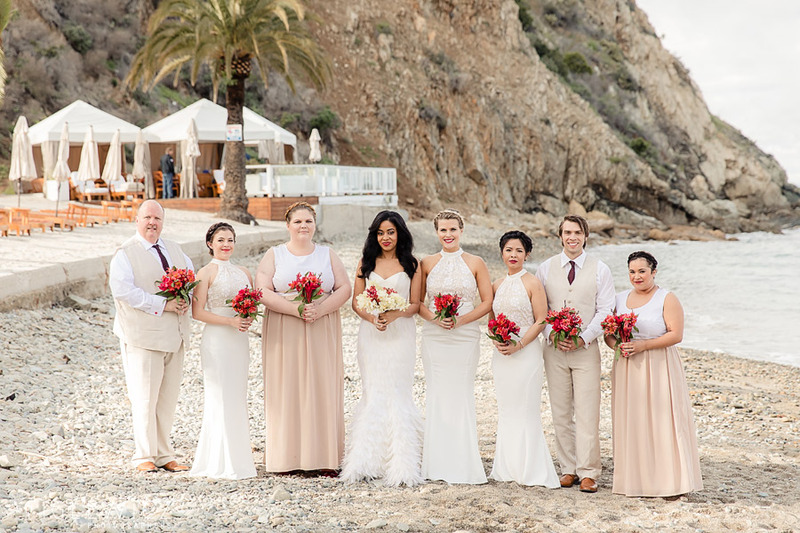 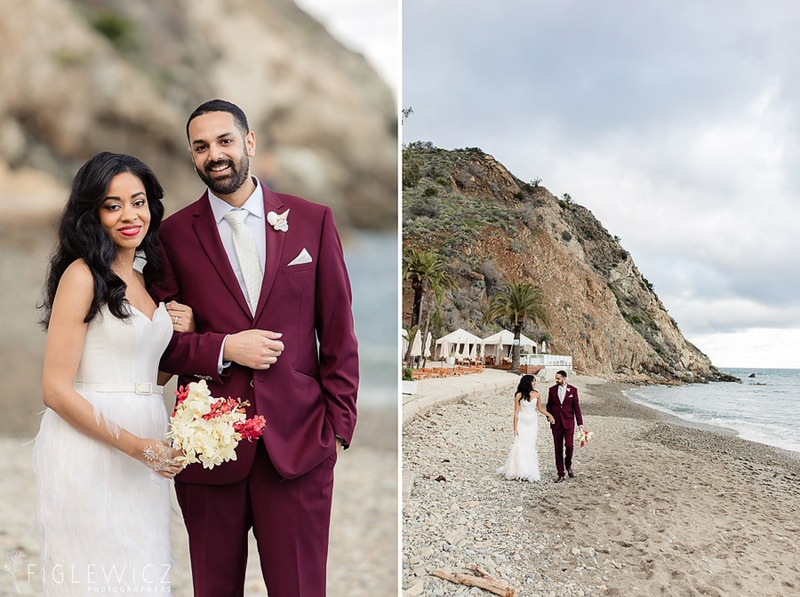 Georgette and Eric decided that a Catalina Descanso Beach Wedding would be the perfect place to become husband and wife after they went on a wonderful trip to Catalina Island for his 30th birthday. 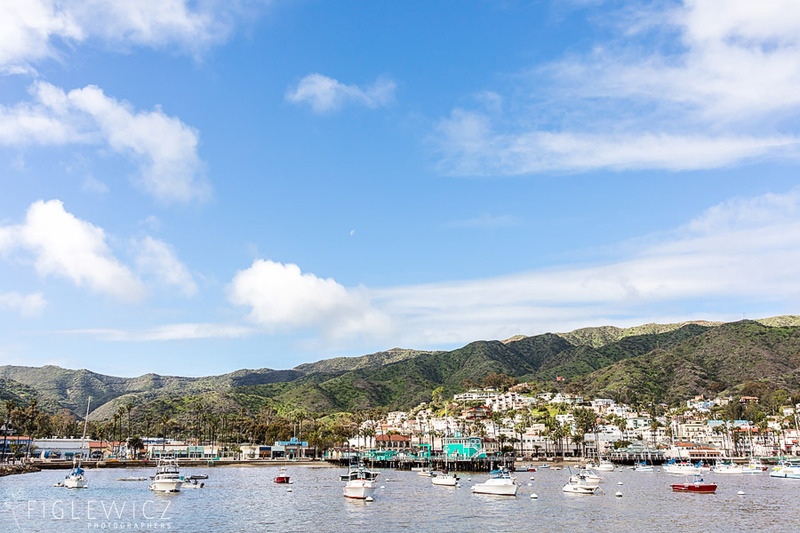 They went on the glass bottom boat, played mini golf, and took a helicopter ride! 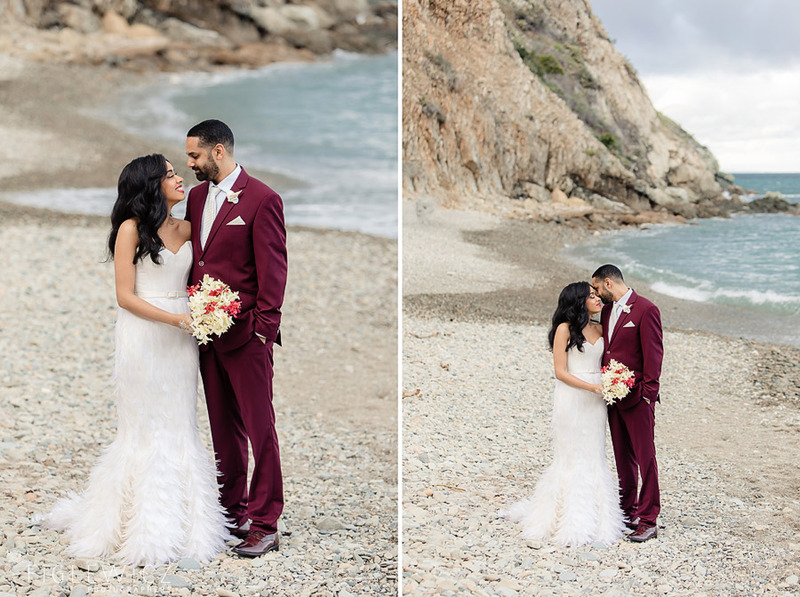 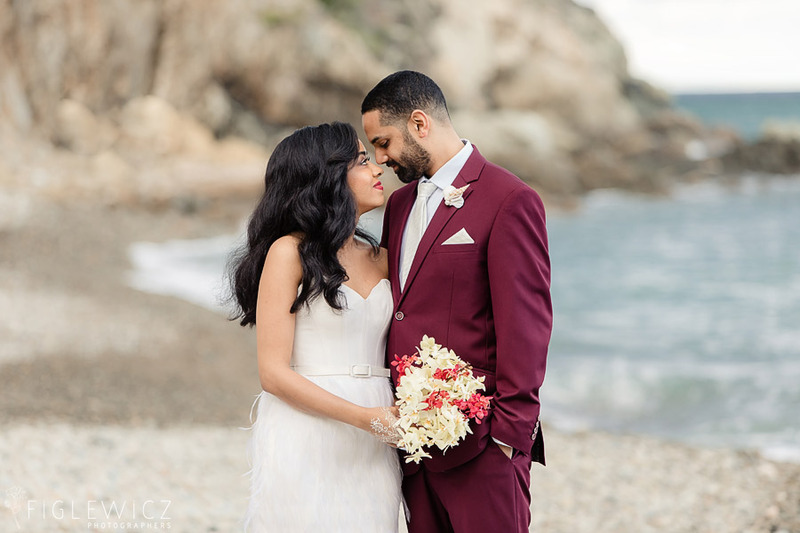 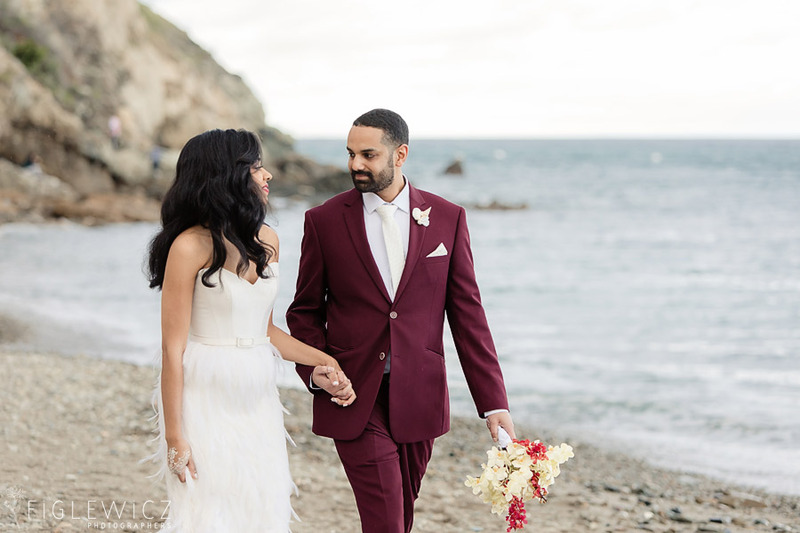 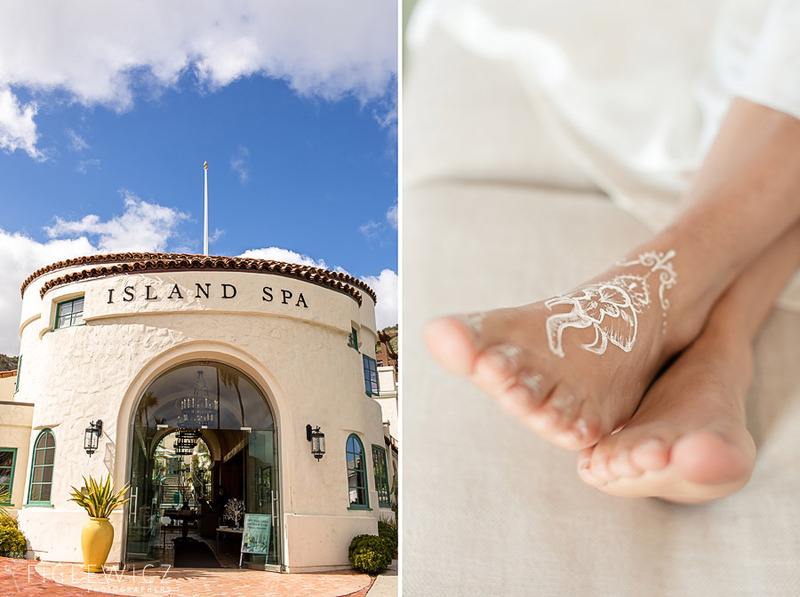 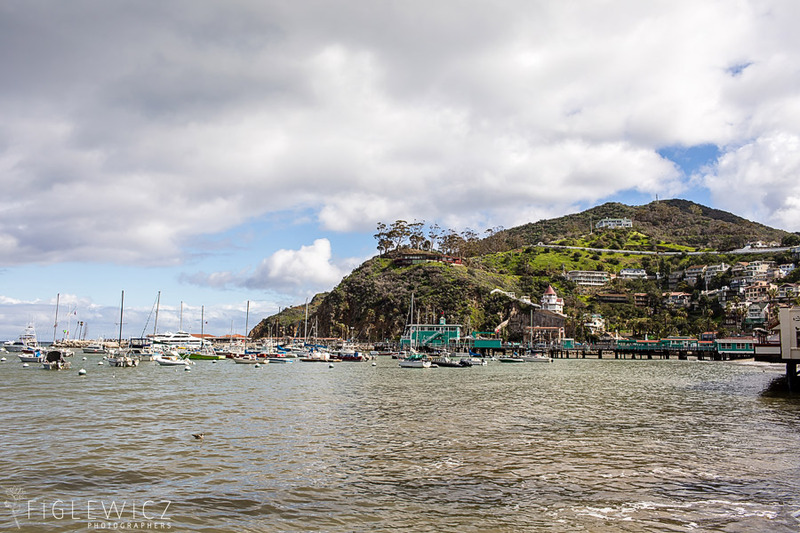 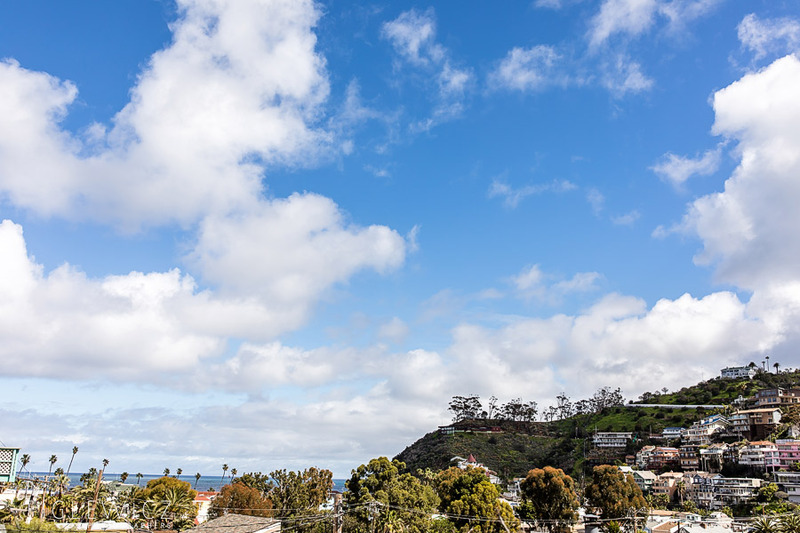 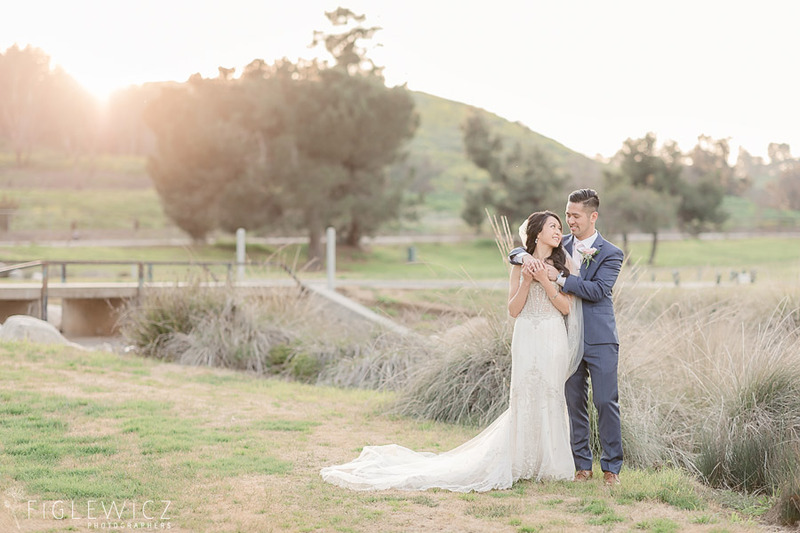 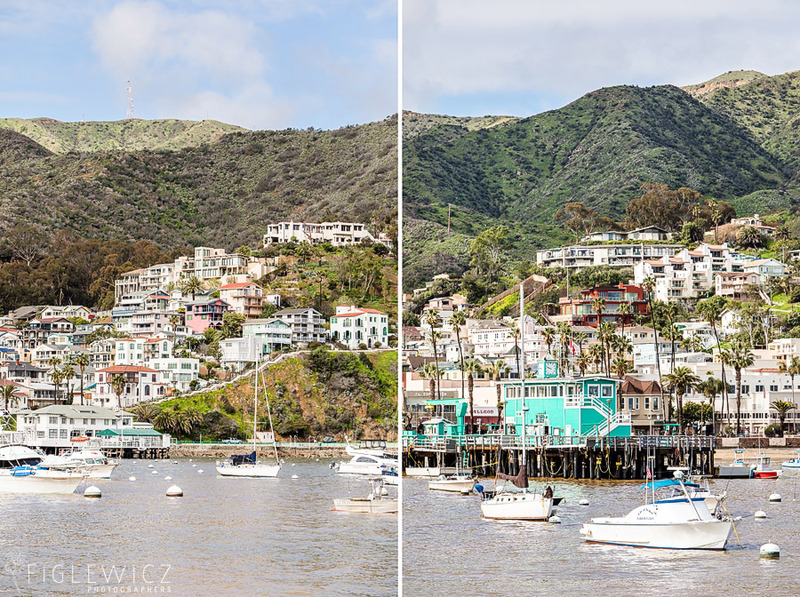 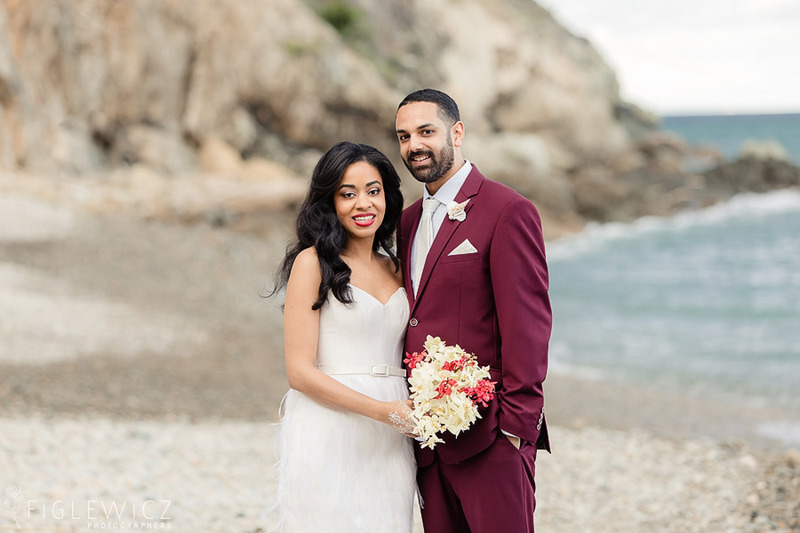 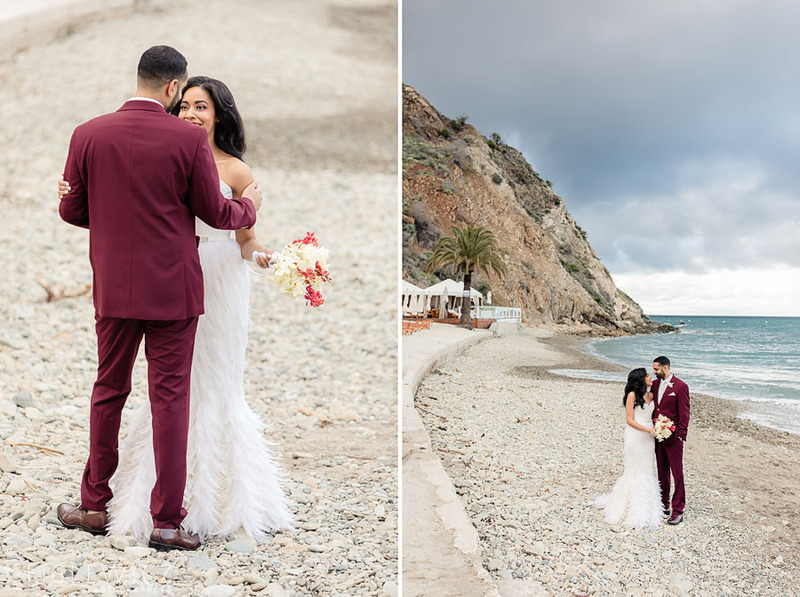 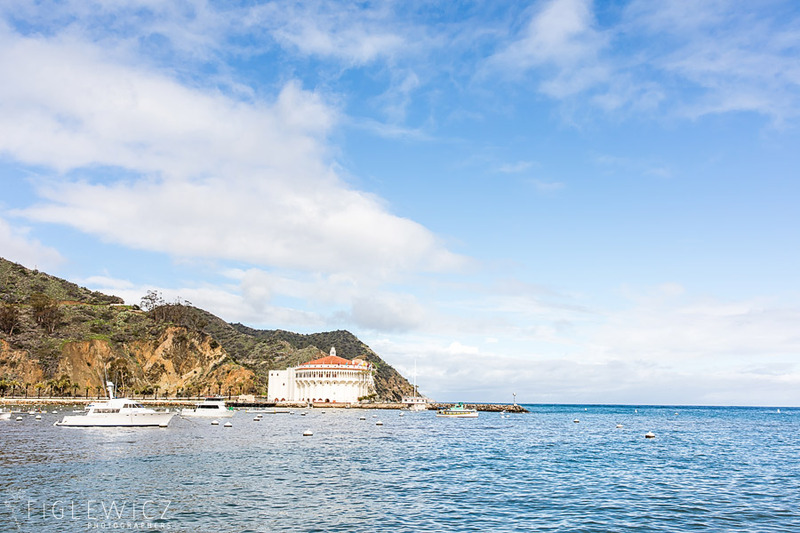 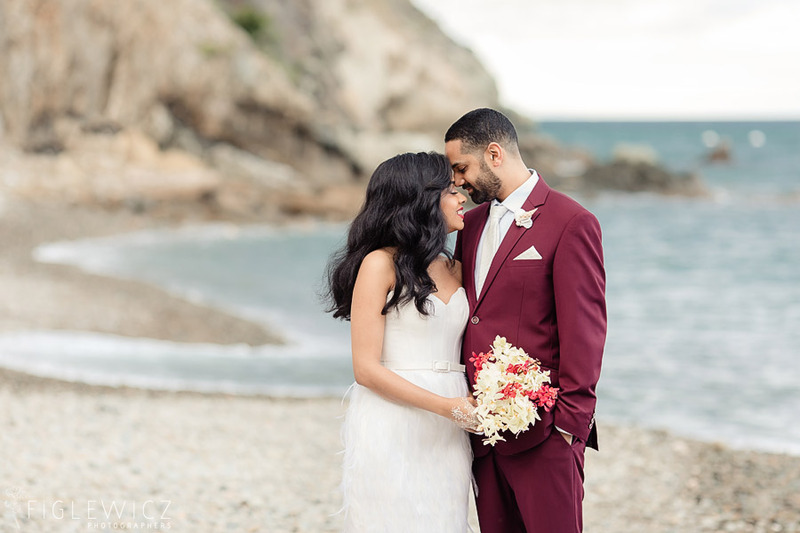 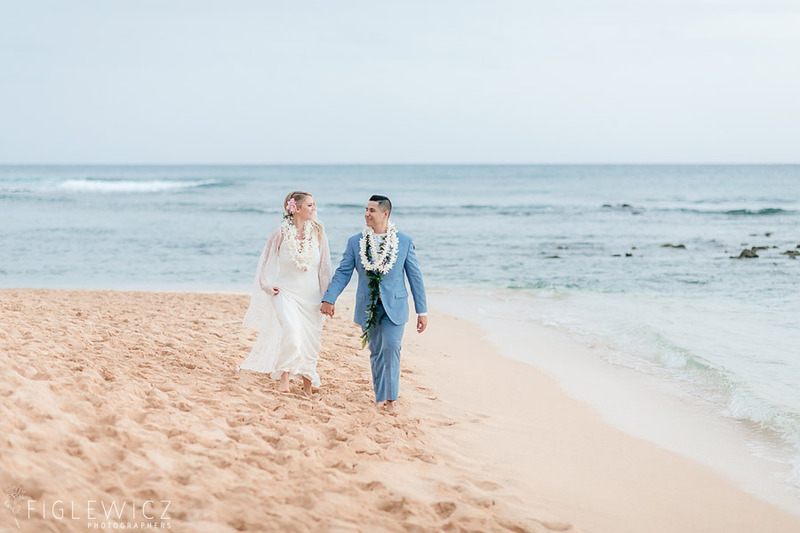 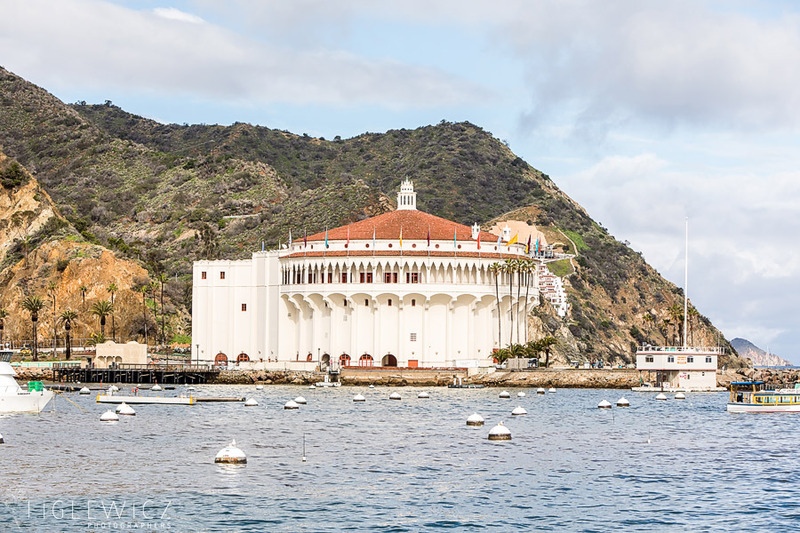 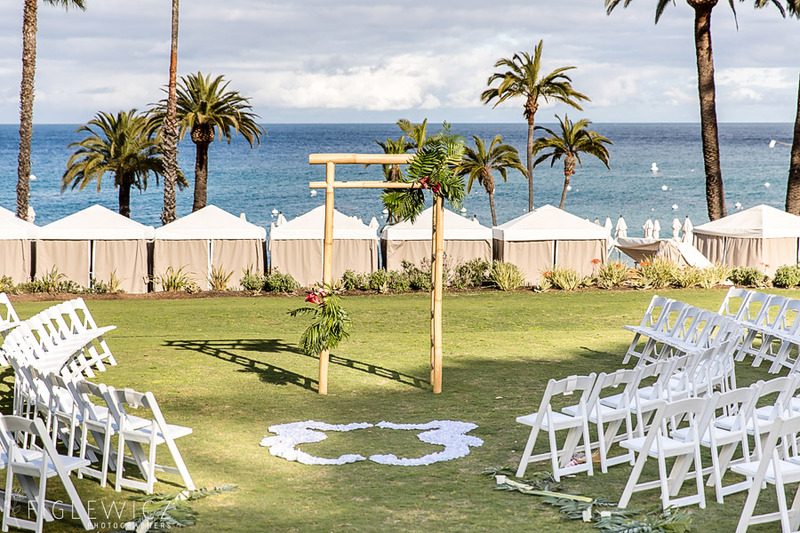 “That weekend, we talked about getting married and decided that when it happened, it would happen on Catalina.” They wanted their day to be a relaxing combination of destination, beach and modern, traditional and it fit those categories perfectly! 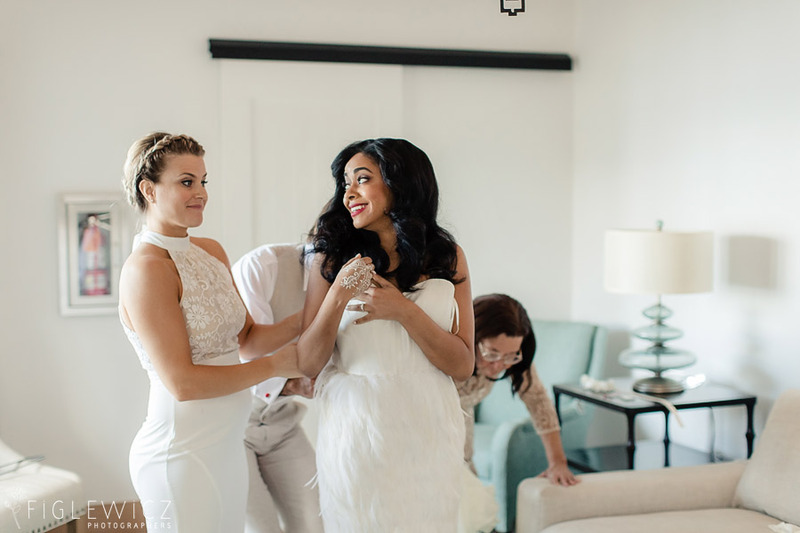 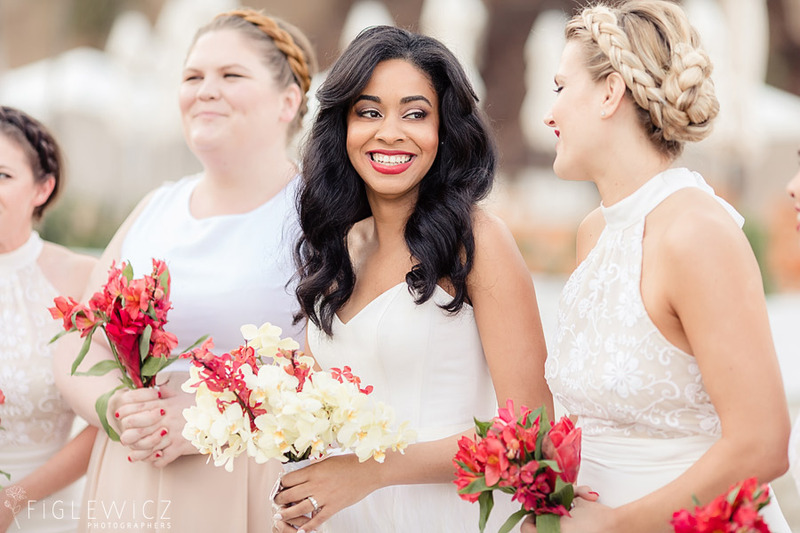 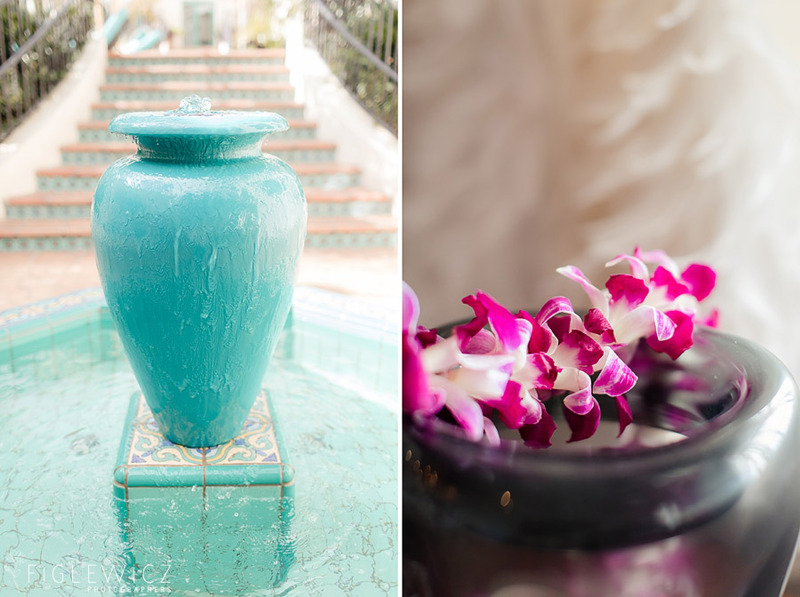 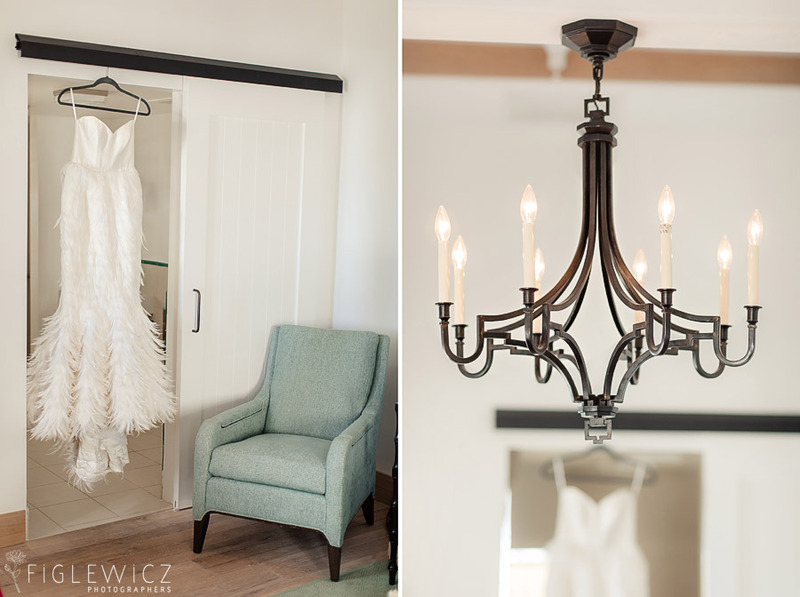 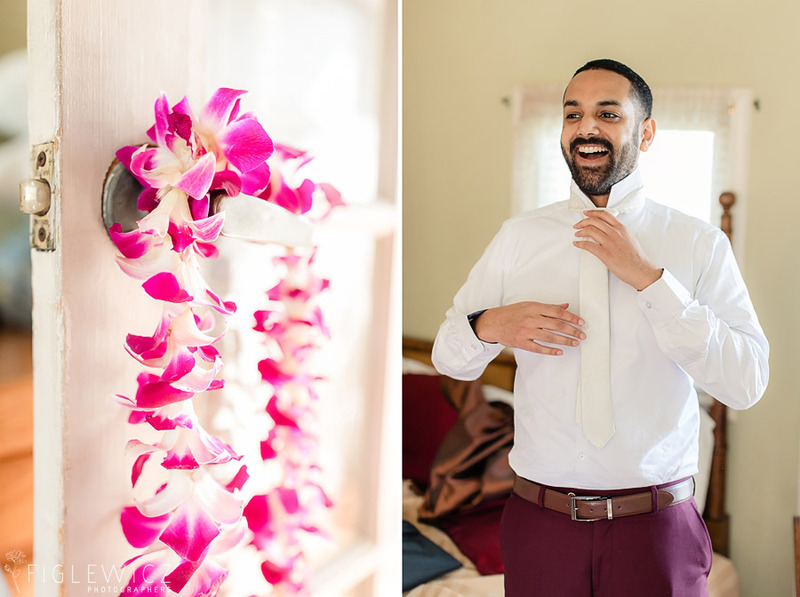 We love the little details Georgette and Eric added to their big day. 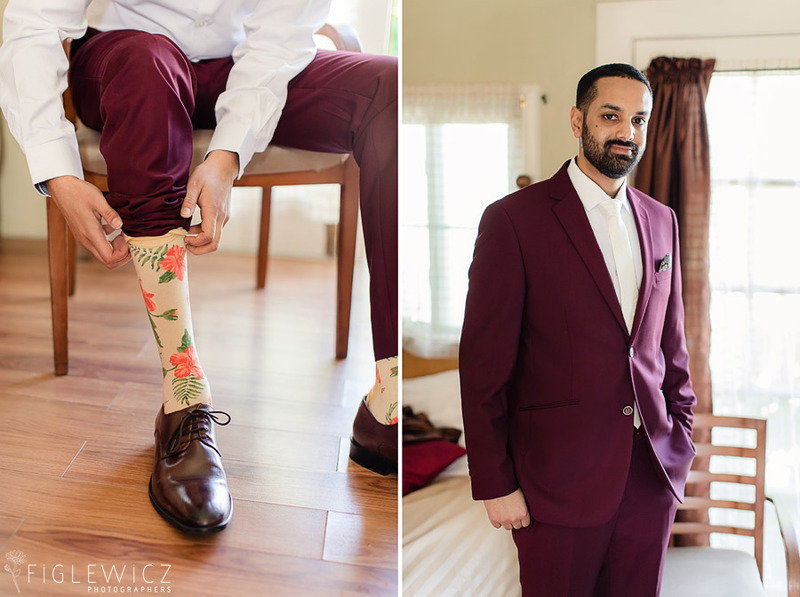 The bouquets added bright splashes of color and Eric’s socks made us smile 🙂 Colored suits are always fun and we are stoked that Eric decided to go with a maroon suit. 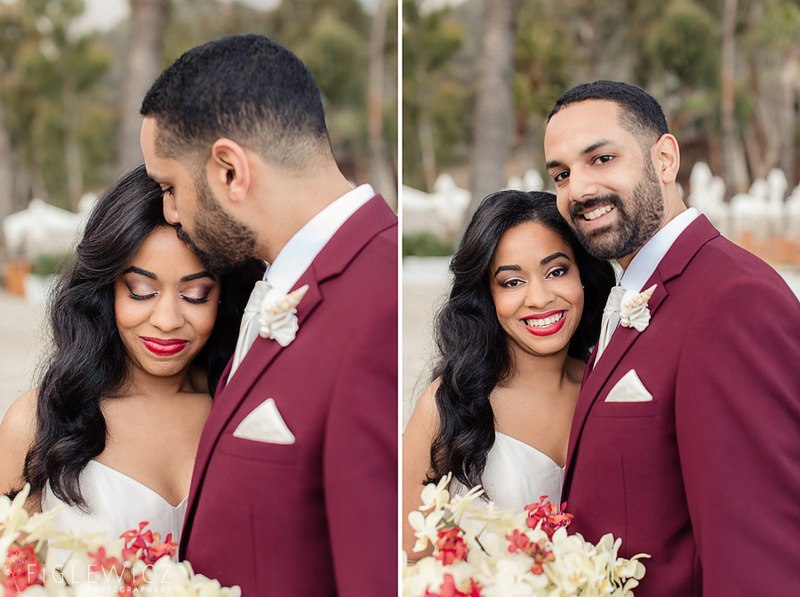 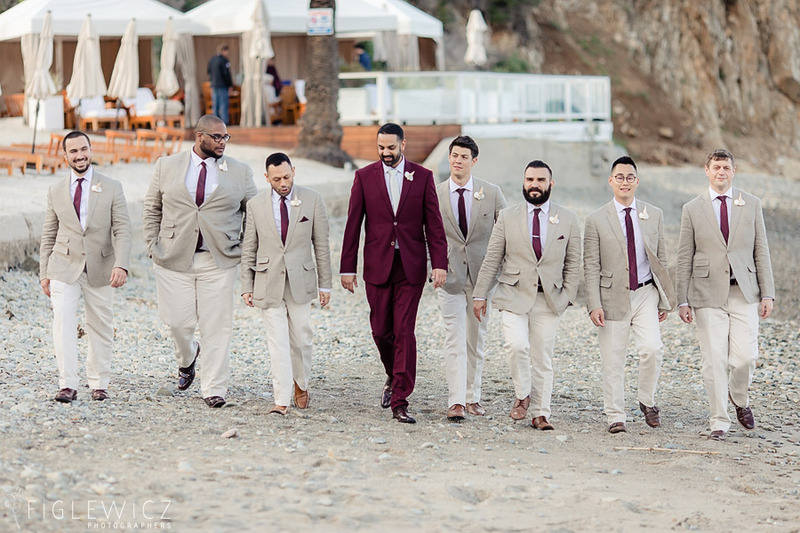 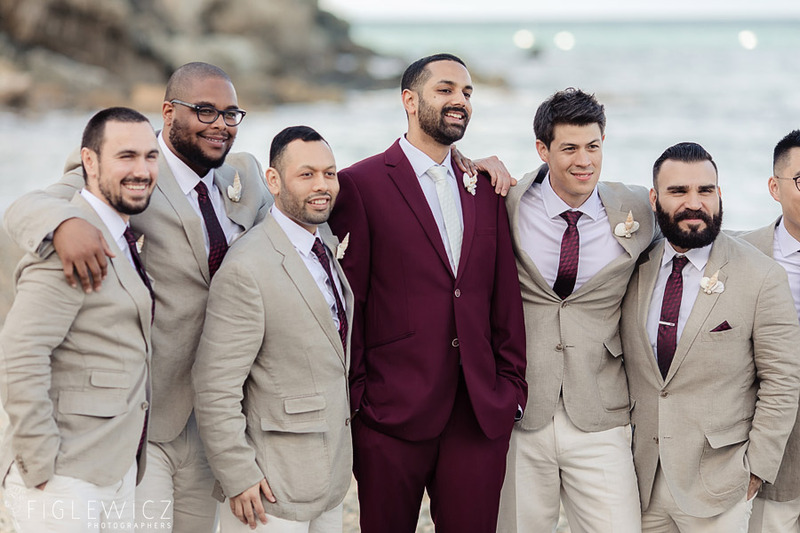 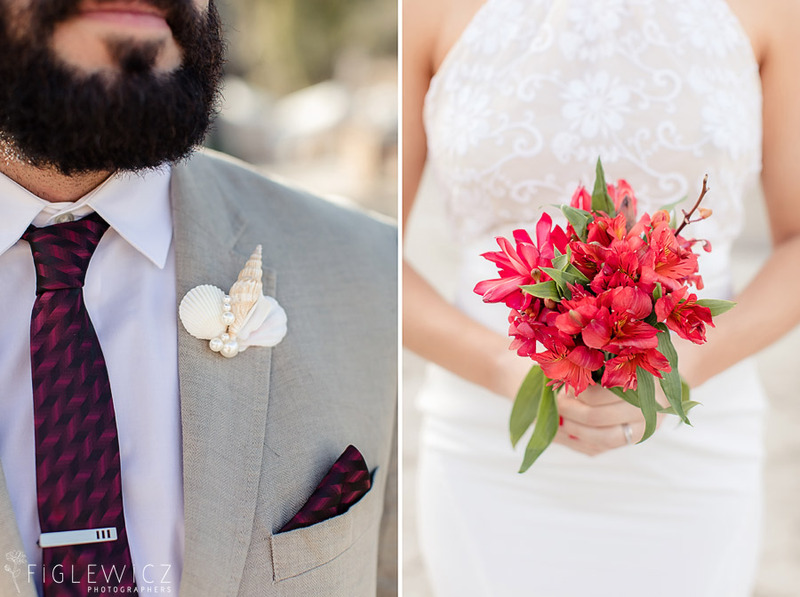 His groomsmen were coordinated in light suits with maroon ties and seashell boutonnieres….LOVE! 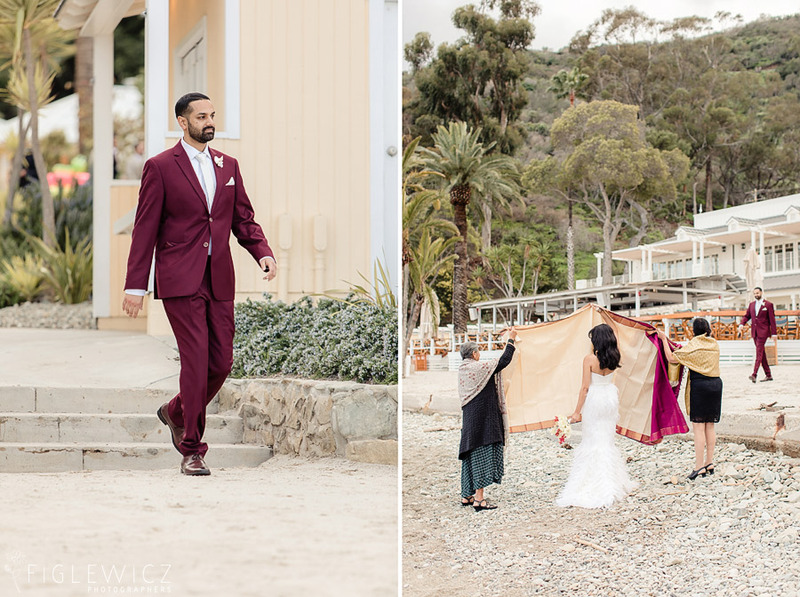 We hope you enjoy Part 1 of this wedding! 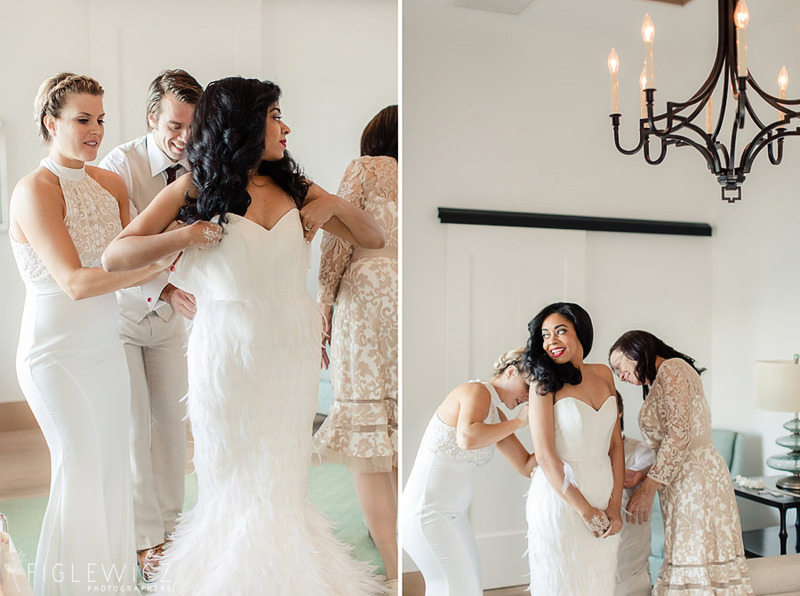 Her dress!! 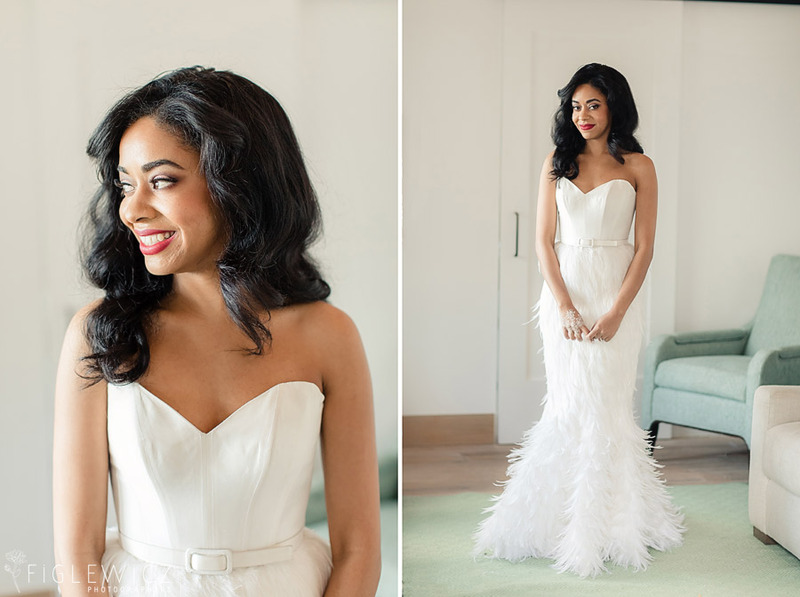 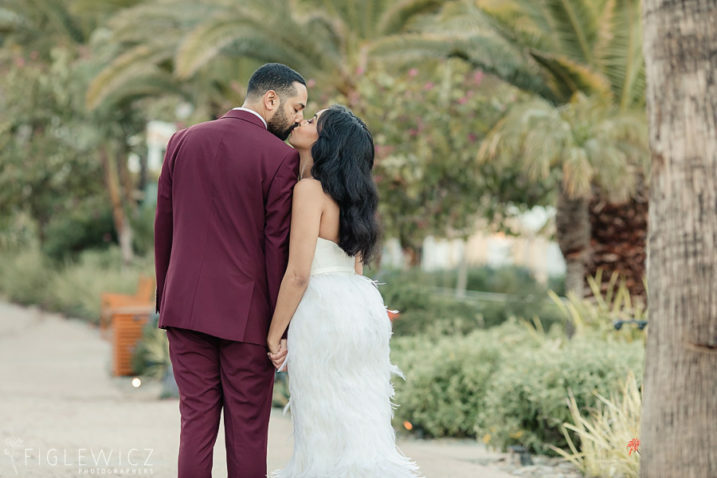 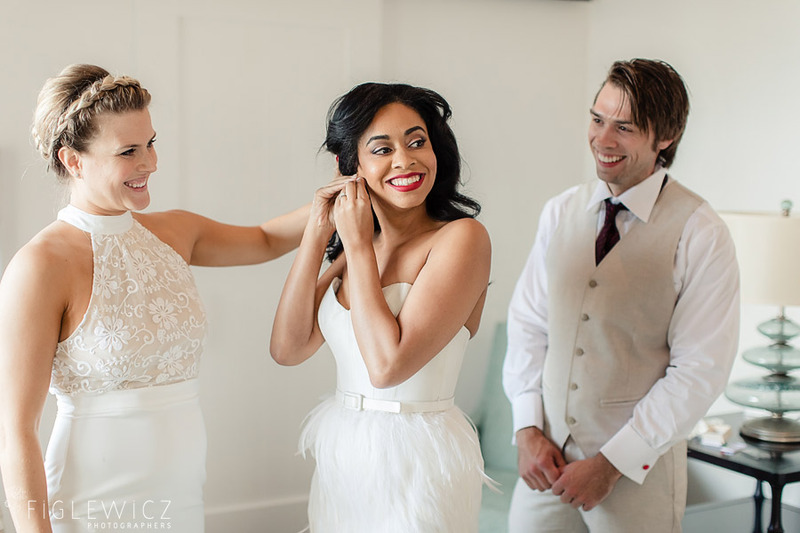 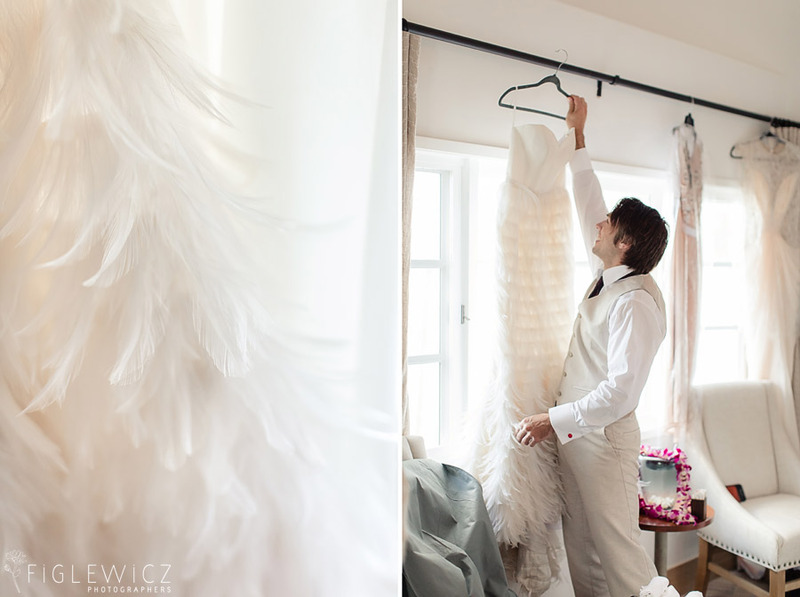 These feathers are incredible and we love how Georgette's style came out through her dress choice.